Giada A50. 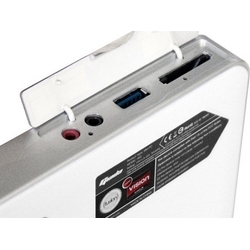 AMD®Fusion Processor, Full HD 1080P, Supports USB 3.0, Supports DX11. Carried with the AMD fusion APU which are combined high-performance serial and parallel processing cores with other special purpose hardware accelerators, enabling breakthroughs in visual computing, security, performance-pet-watt and device form factor, Giada A50 enables you enjoy an unusual experience that you never have. 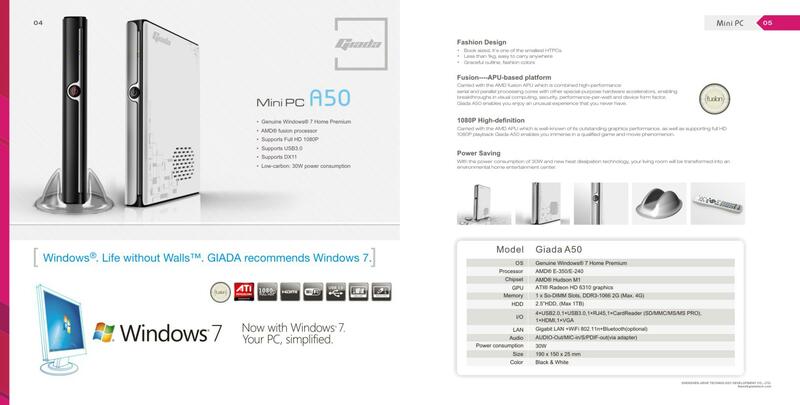 Giada A50 is fully compatible with running the latest OS- Microsoft Windows 7. Supporting Full HD 1080P playback, Giada A50 gives you "better than cinema" quality and the ultimate movie experience in the comfort of your own home. 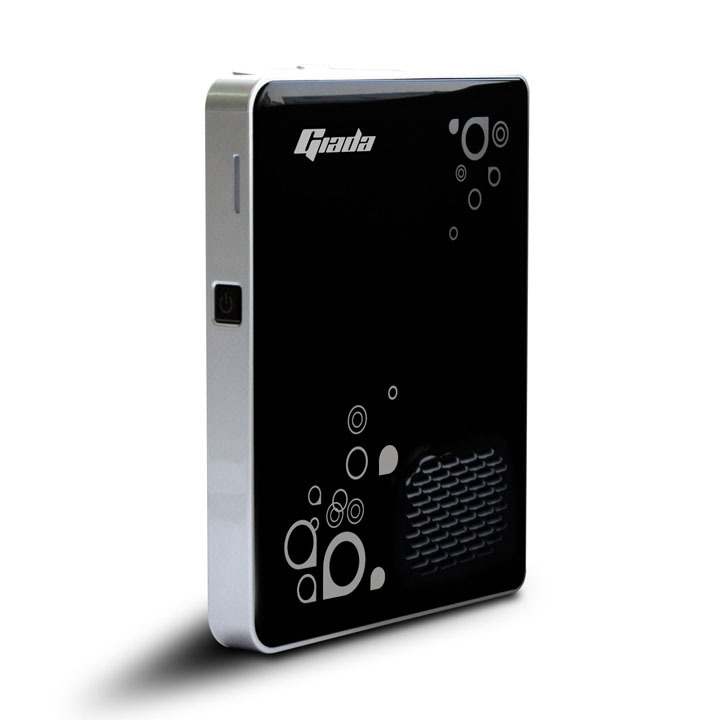 Giada A50 is running a silent operation which is merely 26dB, ensures you a quite computing environment as well. With Giada A50, you living room will be transformed into a home entertainment center. WiFi 802.11n can not only speed your connection to the internet greatly with a wider bandwidth, but also cover longer distance coverage. 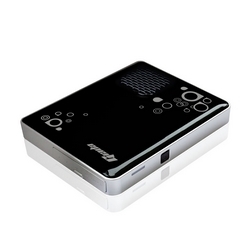 Supporting Full HD 1080P playback, Giada mini PC gives you "better than cinema* quality and the ultimate movie experience in the comfort of your own home. Mini PC GIADA Slim I51 Black Core i3 320Gb + W7 H.P. Mini PC GIADA Slim I51 Black Core i5 500Gb + W7 H.P. The most attractive industrial PC solution, perfect for Digital Signage in demanding eviroments. Compact computer with last generation processor and ultra-low power consum. The most attractive industrial PC solution, perfect for Digital Signage in demanding eviroments. Compact computer with last generation processor and ultra-low power consume.